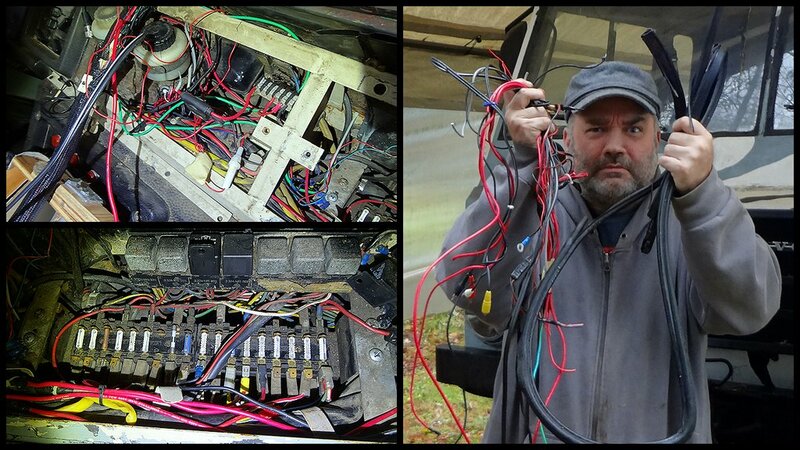 Pulling out old custom dash & wiring mess - THE PORTAL HUB - Pinzgauers, Haflingers, Volvo 303s and more! 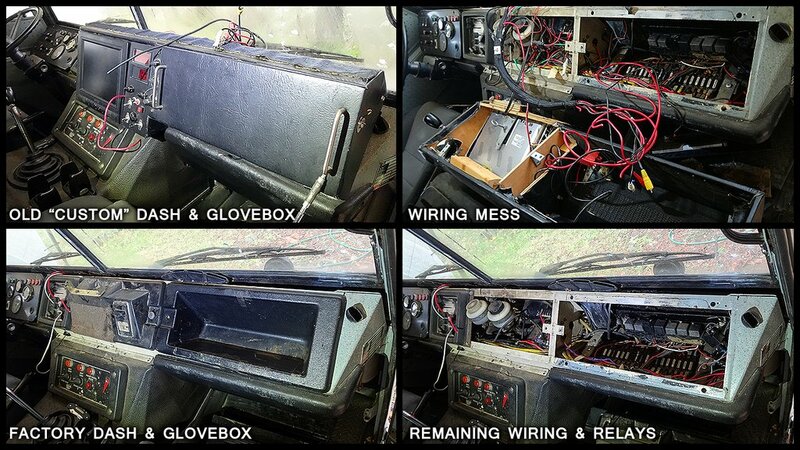 Finally getting around to removing the old custom dash in the c303. It is made of vinyl covered wood and houses a glove box, home-made meter with test lead inputs and a tilt-out video screen. A CB was mounted to the handy velcro top of the box. Sadly, none of that stuff worked any longer. In pulling it all out I am revealing yards and yards of wiring and...bits. Luckily, it came with the original dashboard pieces, though one of them is mauled/repaired pretty badly and they need cleaning. In doing this I also revealed the worst bit of rust I have seen so far, though I knew it was bad; The area just in front of the dash, at the base of the front window divider, is completely eaten away. I can't see any daylight, but I think the paint is holding it together in that spot. When I press on the rubber window seal, it just goes "crunch, crunch, crunch." But hey, at least I still have the ashtray! Where science and technology fail, art survives.